"Our bodies change with life, accidents or injuries; but it does not necessarily follow that life diminishes. Give yourself every chance to feel vigor, stamina and vitality throughout." The word "chiropractic" derived its name from the Greek words meaning "done by hand". Chiropractic is a conservative approach to health restoration, maintenance, and disease resistance. 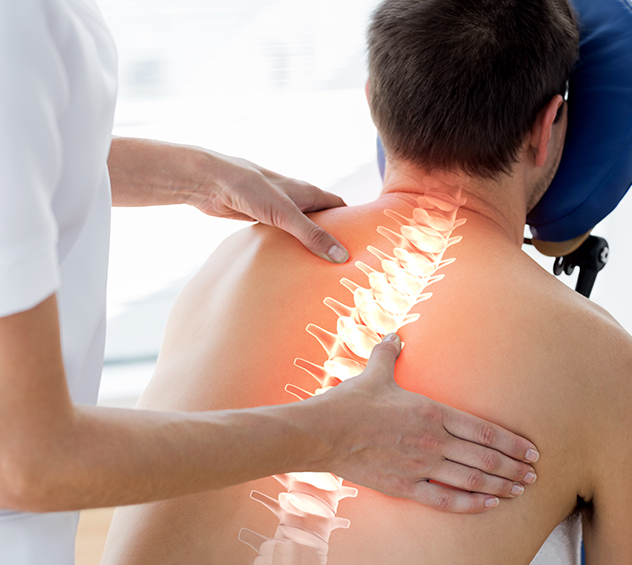 As a natural health-care method, chiropractic, by choice, does not utilize drugs or surgical procedures. While chiropractic recognizes that drugs and surgery may be necessary at times, it also understands their limitations and risks. Therefore, chiropractic takes a non-invasive approach to illness. Take prompt action and call us. We will work with your insurer to provide you with the treatment offering the quickest route to recovery! A minimum of six years goes into the making of a chiropractic physician. Entrance into a chiropractic college requires at least two years undergraduate work in pre-med subjects. Chiropractic colleges are generally four-year institutions. The signals from your brain are transmitted over your nerves to every part of your body. In order for your body to function properly these signals from the brain must get to the various parts of your body without any interference, alteration, or change. Generally, a chiropractic adjustment does not hurt. If you have acute muscle spasm in the area being treated, you may experience some temporary discomfort or, if you have had a condition for a long time, you may feel sore for a day or so after.